Once thought of as the stuff of science fiction, driverless cars already have become science fact. Currently being developed by the likes of Google, Tesla, Nissan, General Motors and Ford, driverless cars use large and complex camera and sensor systems mounted on the roof to navigate the road sans homo sapiens. But massive regulatory and safety testing challenges are still to come. Automakers and tech companies insist these cars have the potential to be safer than cars on the road today, while also allowing people to work or relax during a trip. (That is, of course, assuming these robotic devices never become self-aware and take a page out of "The Terminator.") Now, the Obama Administration has signaled support for the technology with nearly $4 billion included in its 2017 federal budget proposal. The proposed funding would support pilot programs to test connected vehicle systems in designated corridors throughout the country, and work with industry leaders to ensure a common multistate framework for connected and autonomous vehicles. Foxx also unveiled policy guidance that updates the National Highway Traffic Safety Administration’s (NHTSA) 2013 preliminary policy statement on autonomous vehicles. The new guidance reflects the reality that the widespread deployment of fully autonomous vehicles is now feasible. In the next couple of months, NHTSA will work with industry and other stakeholders to develop guidance on the safe deployment and operation of autonomous vehicles, providing a common understanding of the performance characteristics necessary for fully autonomous vehicles and the testing and analysis methods needed to assess them. It also will work with state partners, the American Association of Motor Vehicle Administrators, and other stakeholders to develop a model state policy on automated vehicles that offers a path to consistent national policy. The federal money and policy support could go a long way in accelerating the innovation already happening in the burgeoning automated vehicle industry. Google, for example, is developing wireless charging technology for its electric self-driving cars. The technology transfers power from a transmitter embedded in the ground to a receiver on the underside of an electric vehicle, using a principle called resonant magnetic induction. In this process, an alternating current passing through a tuned electrical circuit creates an oscillating magnetic field. That field then induces another alternating current in a second, nearby circuit tuned to the same resonant frequency. And this helps the environment how? 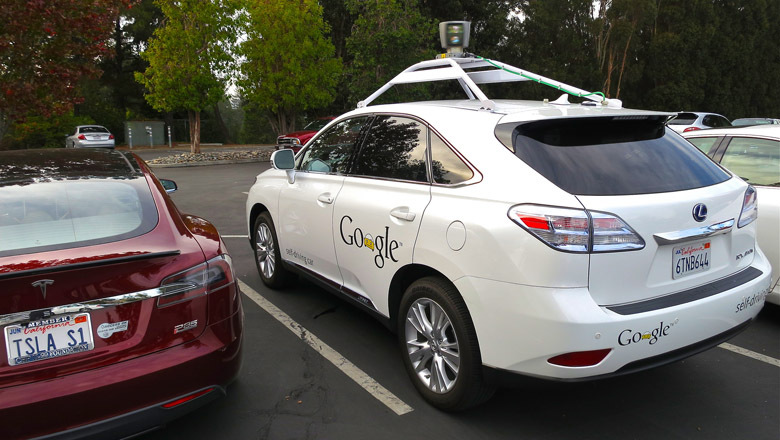 There also are remaining questions about just how “green” driverless cars actually are. For instance, these cars have significant improvements on fuel efficiency thanks to the use of energy-optimizing controls that restrict the wasteful braking and accelerating humans drivers often partake in. And there’s the added benefit of reducing the need for personal ownership of vehicles, with on-demand, driverless vehicles that can deliver a person from point A to point B, then pick up another passenger — models companies such as Uber and Lyft already say will be the future of transportation. However, at the end of the day, nothing beats the sustainable impact of an investment in an effective mass transportation system.